This is an original production cel from the Walt Disney Studios production of Peter Pan (1953). 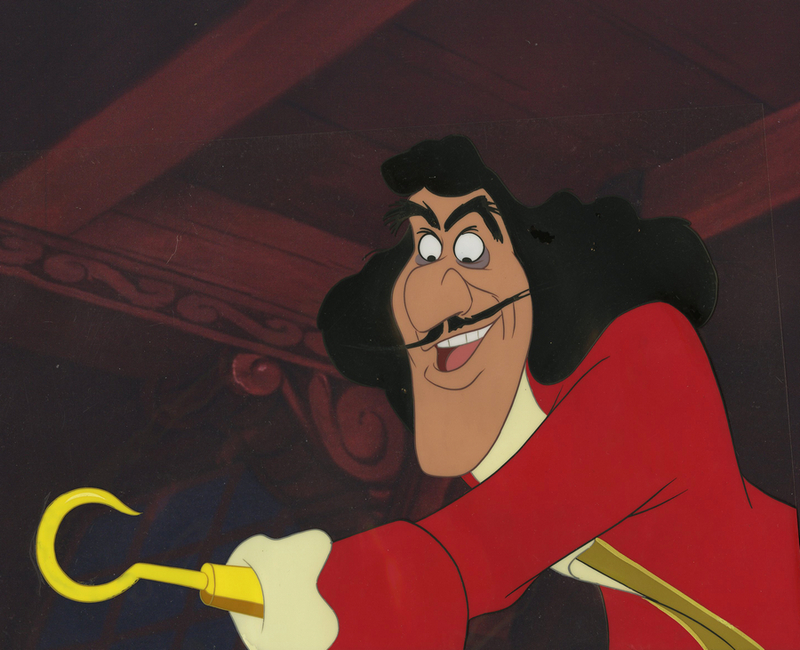 This hand-painted cel features Captain Hook as he convinces Tinker Bell that Wendy is the cause to all of her problems, and was created at the studio and used during the production of the film, representing an actual frame of animation that was photographed and appears in the film. 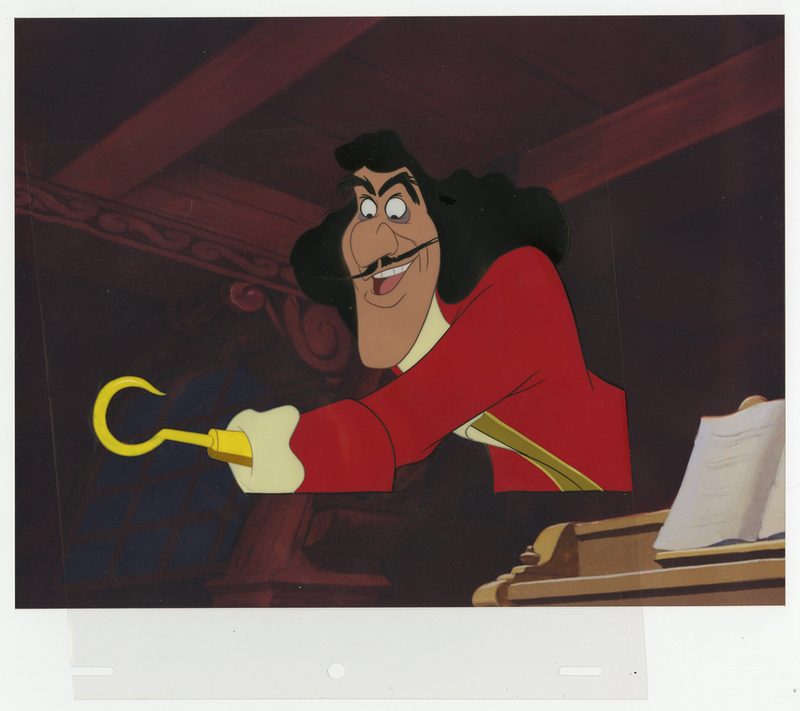 The overall measurements of the trimmed animation cel are 8.25" x 8.25" and the image itself measures 5.25" x 7.5". 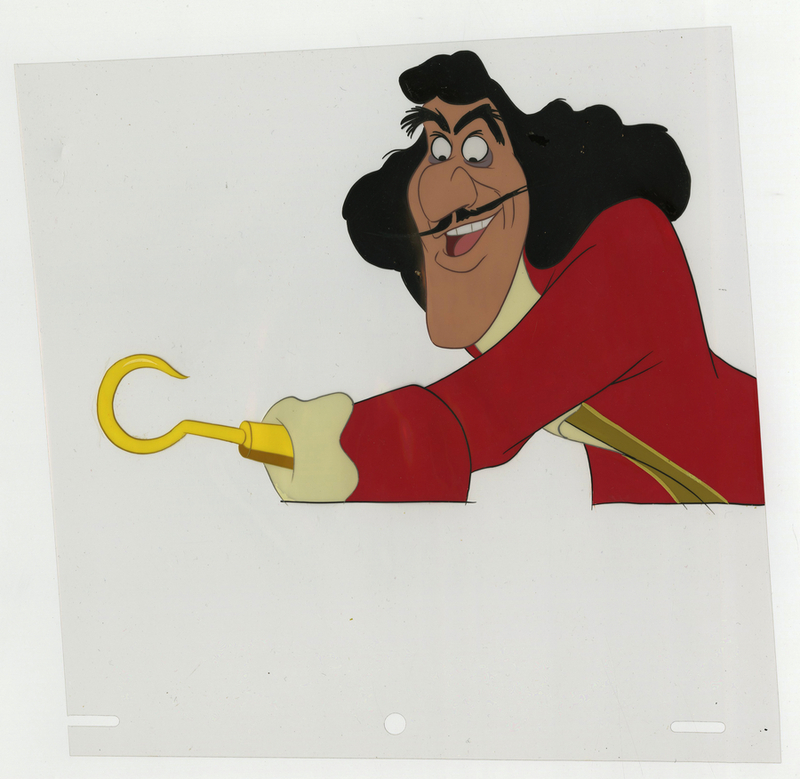 The cel is in good condition with some minor paint damage in Hook's hair (which we can have professionally restored), and we have also paired the cel with a color printed reproduction background. 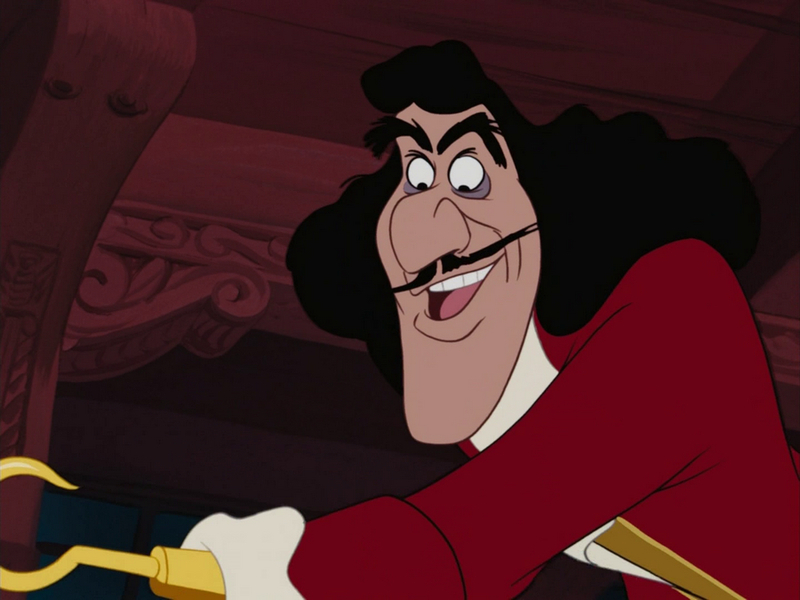 The last image shown is a screen grab from the scene this cel was used to create, it is shown for reference and is not a physical print included with the cel.